Subscribe whois database of Canada for just $19/month. You also get access to database of previous 30 days when you subscribe for free. 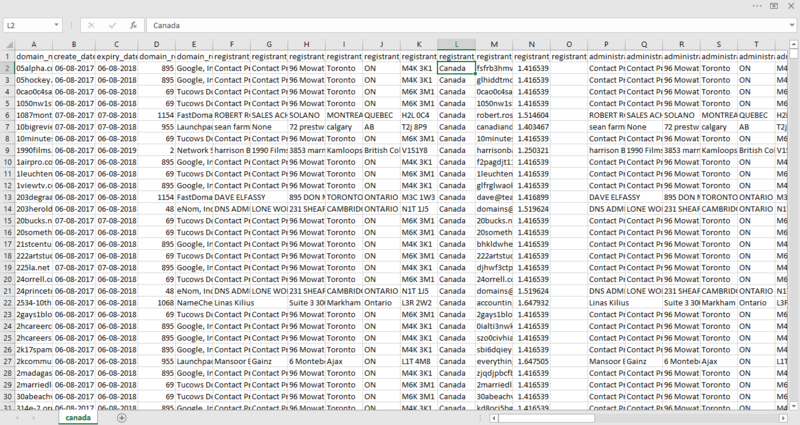 Everyday around 5000 domains booked in Canada. If you want Bulk Whois Database of Canada, than we have Database from March-2012 to till date 17,601,799 domains with whois database, Get the compplete whois database of over 17.6 million domains for $349 only.